2018 MEETINGS – Full details available in our printed programmes. Tel: 01388 528071, or 01388 526190. Flowers used in the demonstrations are raffled at the end of the evening. 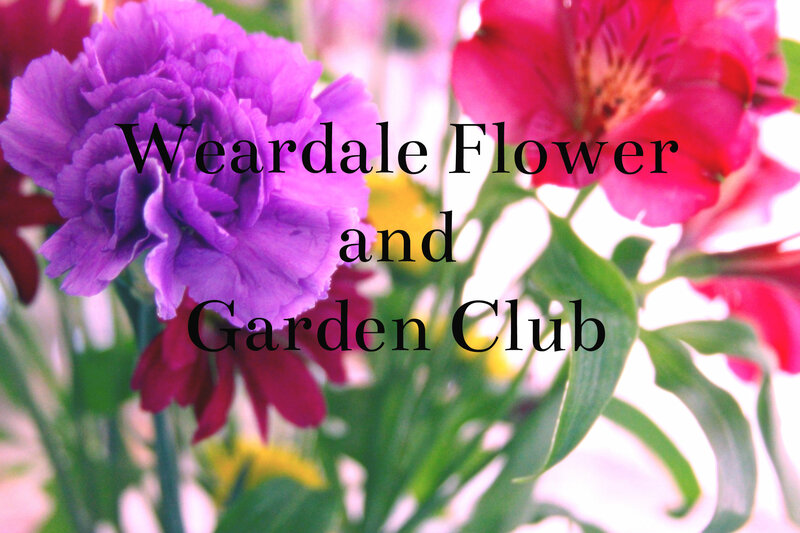 20th February – Demonstration by Lucy Richardson, a professional florist and ‘up-cycler’. She runs her own professional floristry design service and eclectic crafting. 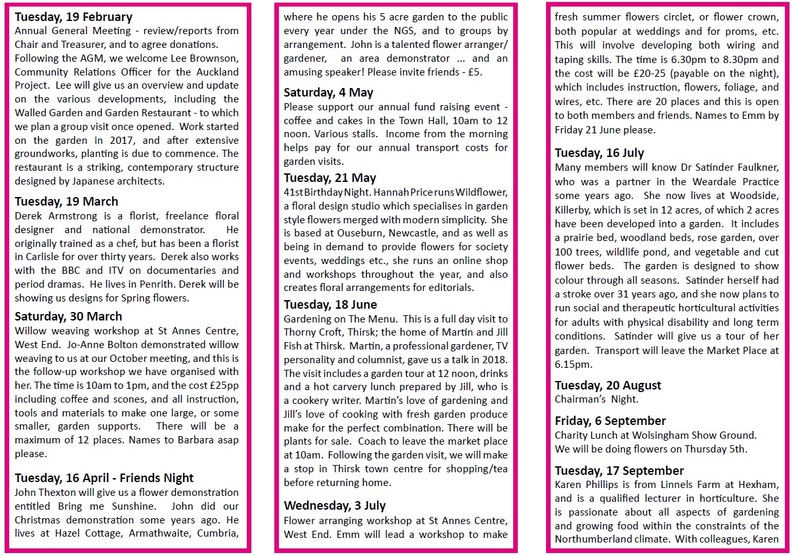 17th April – Martin Fish is a broadcaster, gardening consultant, and author. He will be talking and showing us his life in gardening. He will also bring plants for sale, and will chair our Gardeners’ Question Time. 5th May – Fund raising coffee and cakes in the Town Hall, 10-12. This will include a plant stall, and supports the National Lonely Bouquet Initiative. 15th May – Celebratory dinner at Headlam Hall, to mark 40 years since the Club started. 19th June – Afternoon outing to Bradley Hall Gardens, Wylam – 18th century garden, homestore, gift shop, garden store and glasshouse cafe where we have booked afternoon tea. 17th July – Evening outing to Newbiggin Hall Gardens, Blanchland. 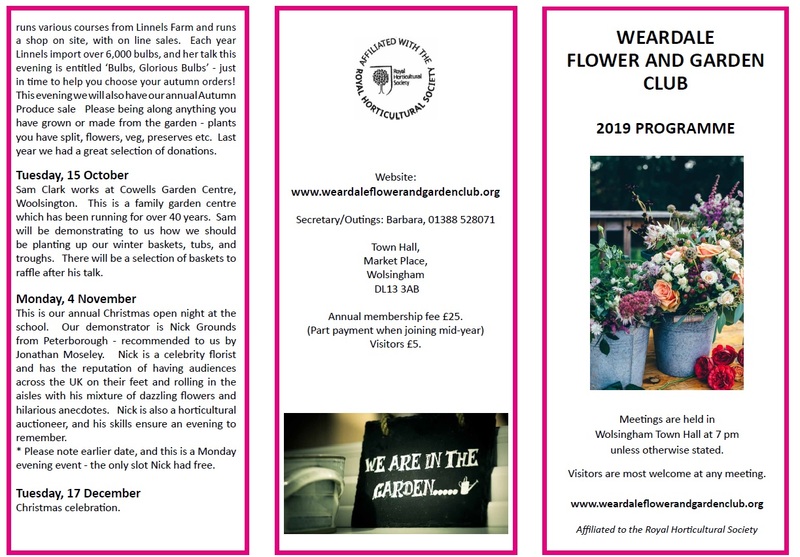 18th September – Beverley Wright, florist. 20th November – Jonathan Moseley, Christmas Open Night – Forty Years of Berries, Blooms and Baubles. A copy of our 2019 Programme of Events can be downloaded here. Please click and save and the document will download as a .pdf file. Click here.